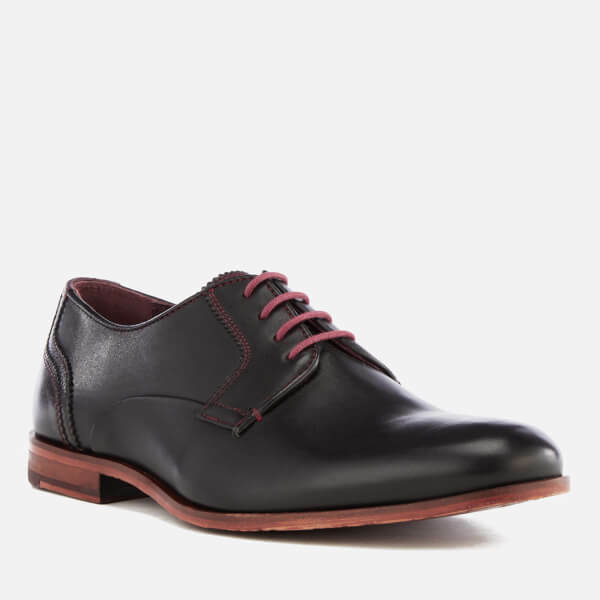 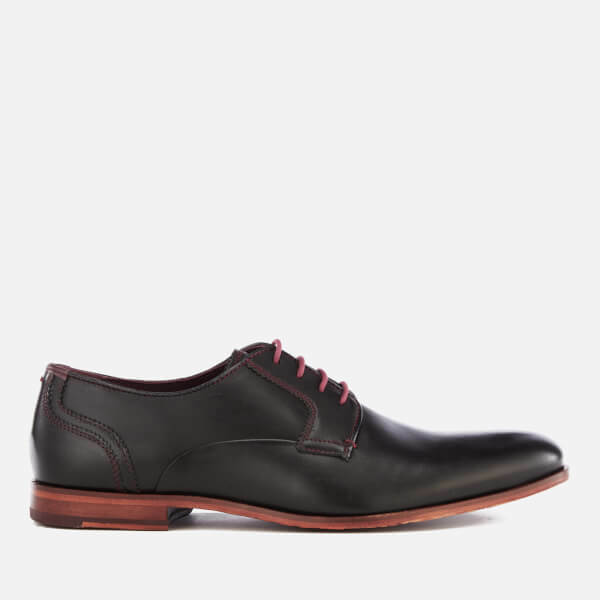 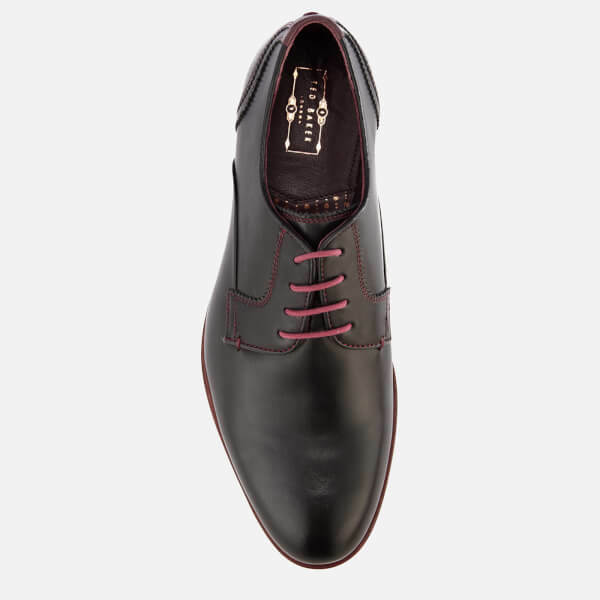 Men’s ‘Iront’ leather derby shoes from Ted Baker. 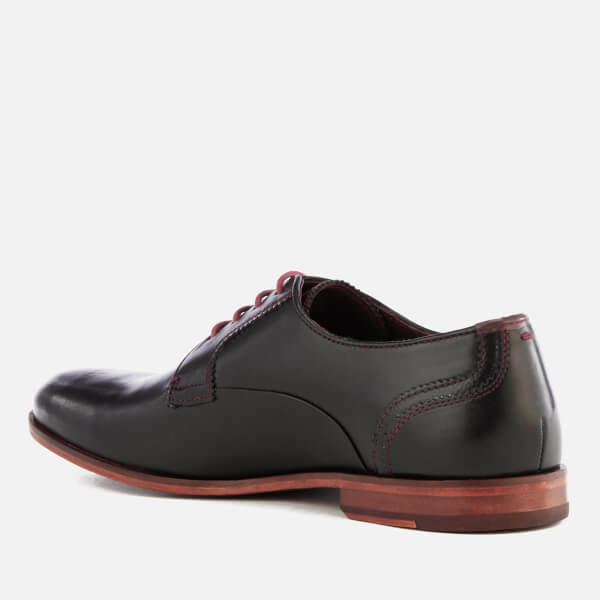 Crafted from smooth leather uppers, the classic shoes form a low profile silhouette with an open lace fastening and slim line toe. 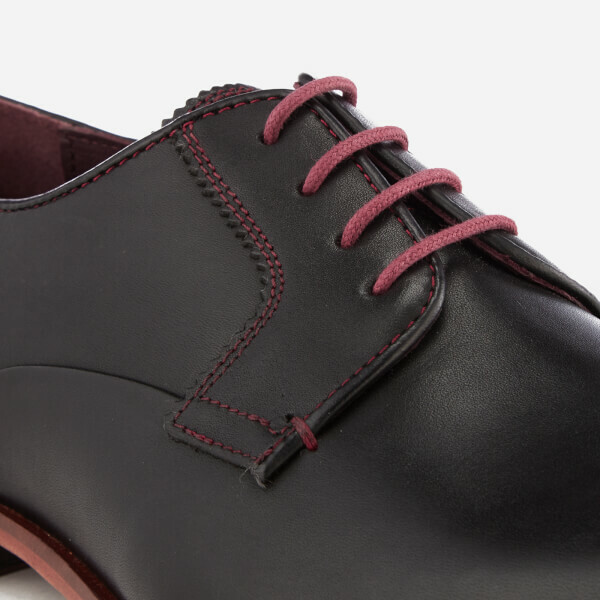 Detailed with contrast coloured stitching and pinking trims. 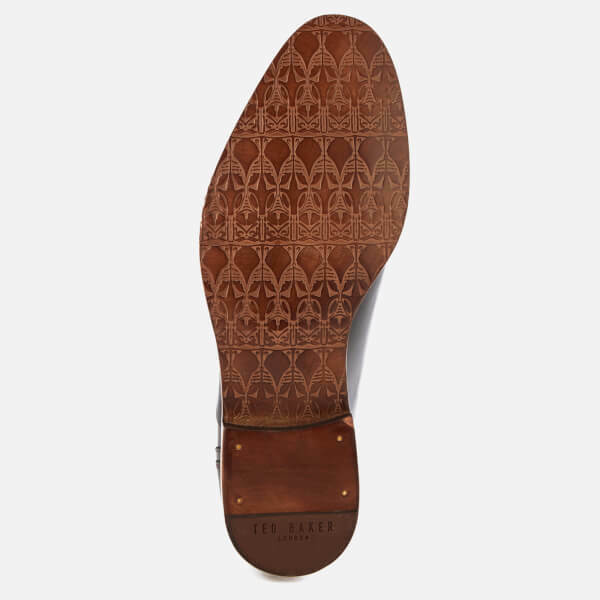 Set upon a durable stacked sole with intricate overlay, rubber heel panel and a 'Gentleman's Corner' notch. 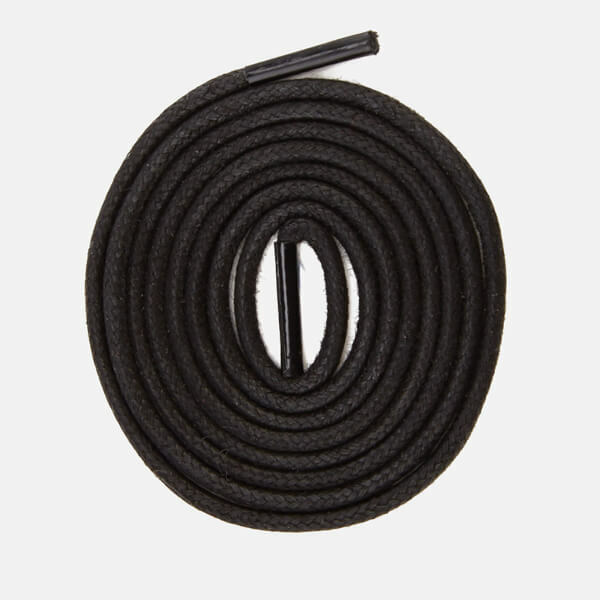 Supplied with an additional set of black laces.